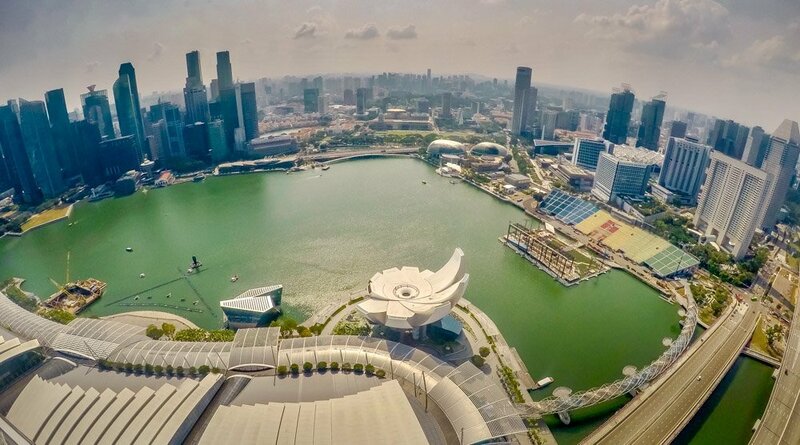 If you were asked to describe a ‘modern city’ then you would not be too far wide of the mark if you said, ‘a bit like Singapore’. 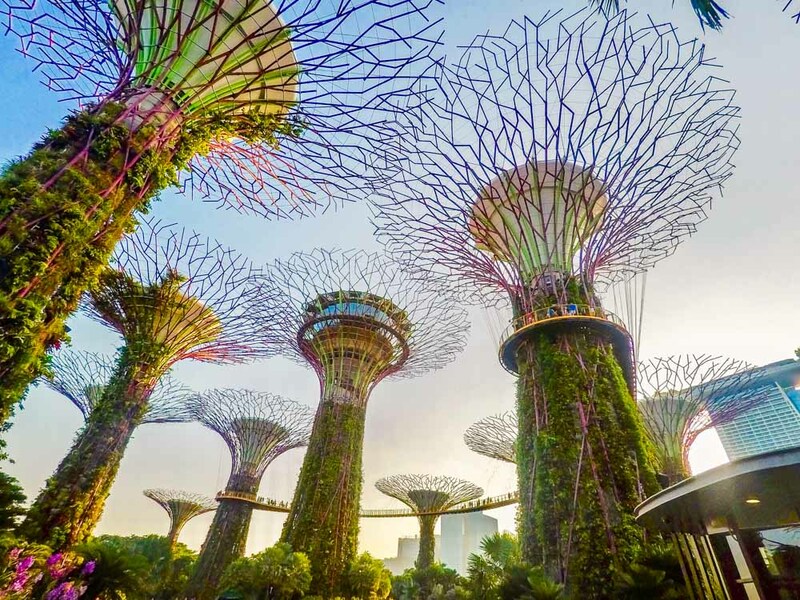 Singapore is a very modern city; culturally diverse, futuristic yet historic, green, clean, and with a metronomic and air-conditioned underground system that London Underground commuters can only dream of. 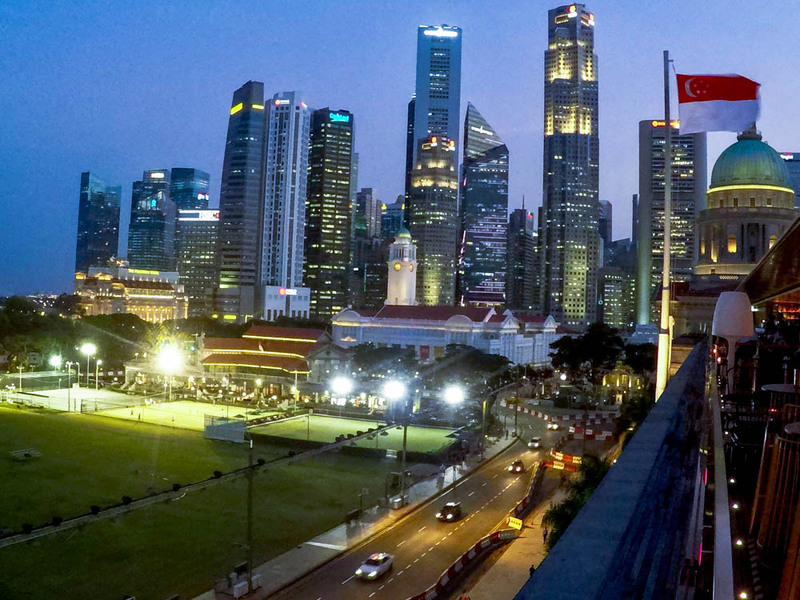 We were visiting Singapore on short three-night stay as part of a trip to South East Asia. I’d travelled through Singapore on three previous occasions but for reasons that I cannot really explain had never ventured outside of the airport. We were going to remedy that on this trip. The taxi driver who transferred us from the airport to our downtown hotel told us that Singapore is different to any other place because of two things; it is very clean and very green. There are other clean and green cities in the world of course but I’ve certainly not visited anywhere as clinically spotless. And despite the huge skyscrapers, you don’t have to travel too far to find lush vegetation and tropical flower arrangements even in the heart of the city. Ironically the only disorganised mess that we experienced in all our stay was the small mountain of paper bills that seemed to have been dumped in the front passenger seat of our taxi. Maybe he was taking them to be recycled and saving on plastic bags – Singaporeans are environmentally aware after all. 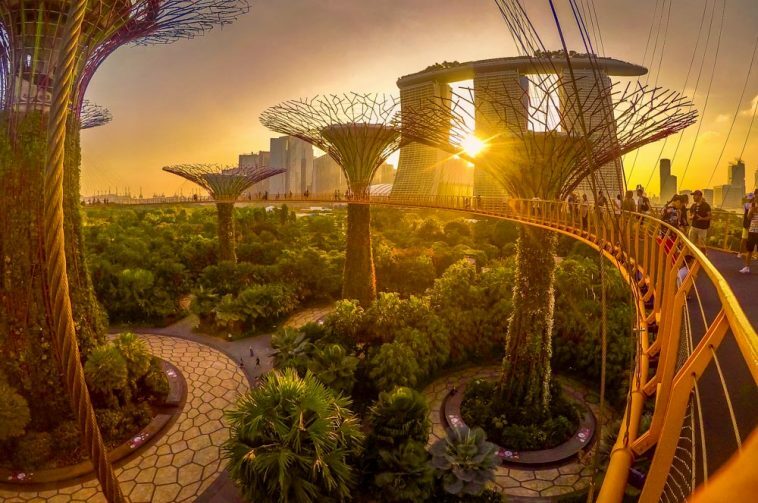 Singapore sells itself as a city within a garden as opposed to a garden city. 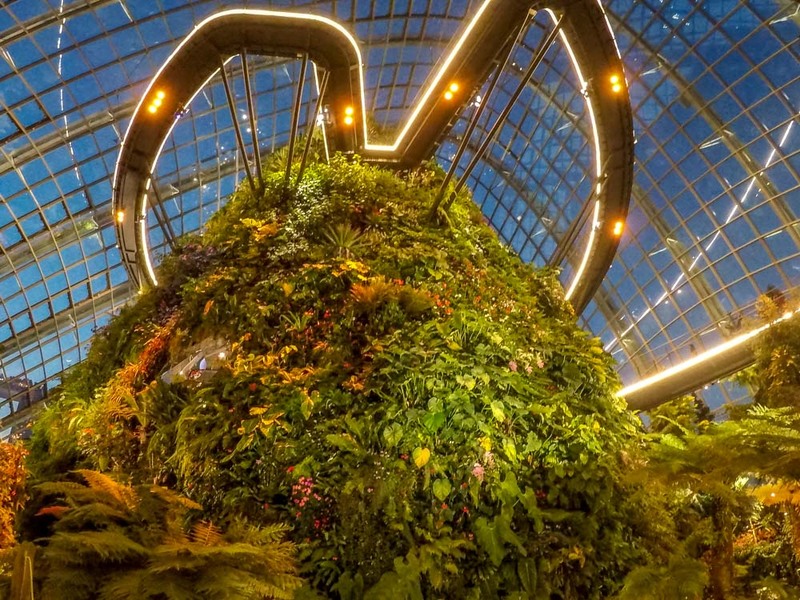 There is another great article here on BaldHiker exploring some of Singapore’s greener retreats and our first port of call was to visit the Gardens by the Bay which, as the name suggests, is a horticultural attraction by the marina but with some futuristic twists. A few years ago I watched one of David Attenborough’s nature documentaries showing some footage of manmade tree shaped structures and walkways which acted as hosts for all manner of tropical plants. I had at first assumed that this vision of the future was a clever trick of CGI but then realised that it was real, and now here they were in front of me in Singapore. 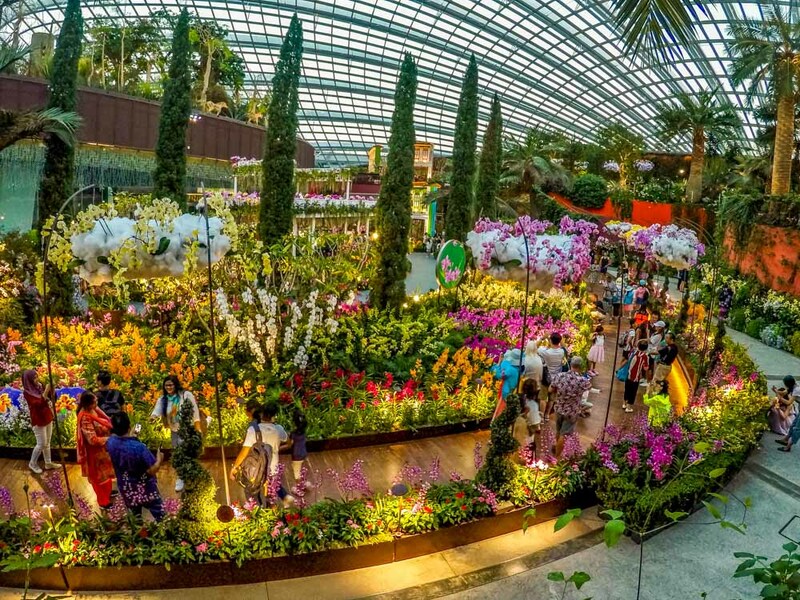 The Gardens by the Bay are outstandingly good, and a must do for any visitor to Singapore. The Gardens are vast and pleasant enough to walk around themselves but there are three main attractions within them. 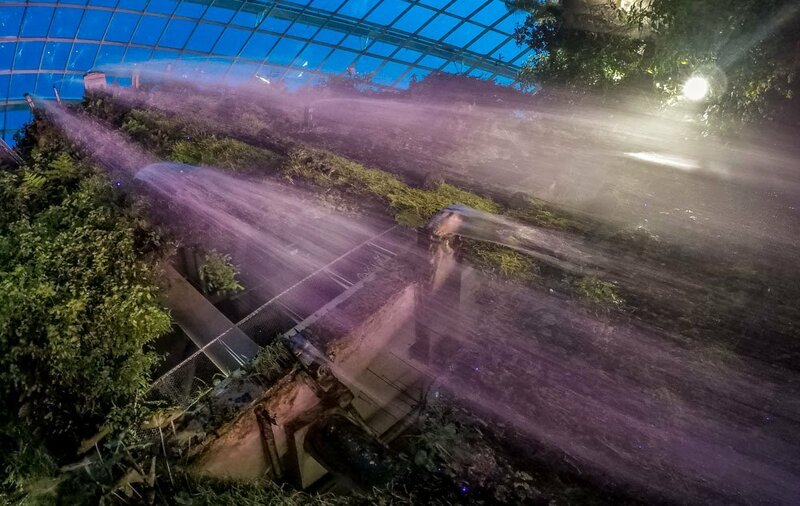 The aforementioned Supertree Grove and its OCBC walkway, and two glass domed conservatories; the Flower Dome and the Cloud Forest. The innovation in the design of the structures that house the plants is the very clever thing here. The tree top walkways allow you to experience the greenery in the same way the macaques of Singapore do (although thankfully there is no requirement to swing from tree to tree of course). The Flower Dome beautifully presents plants and flowers from all over the world and is full of colour and floral aromas. The Cloud Forest takes you high up into misty mountain country before allowing you to descend on a circular route passed waterfalls and the diverse plants found in these tropical mountain environments. We visited towards the end of the day with the intention of getting one of the two light shows that are put one each night. 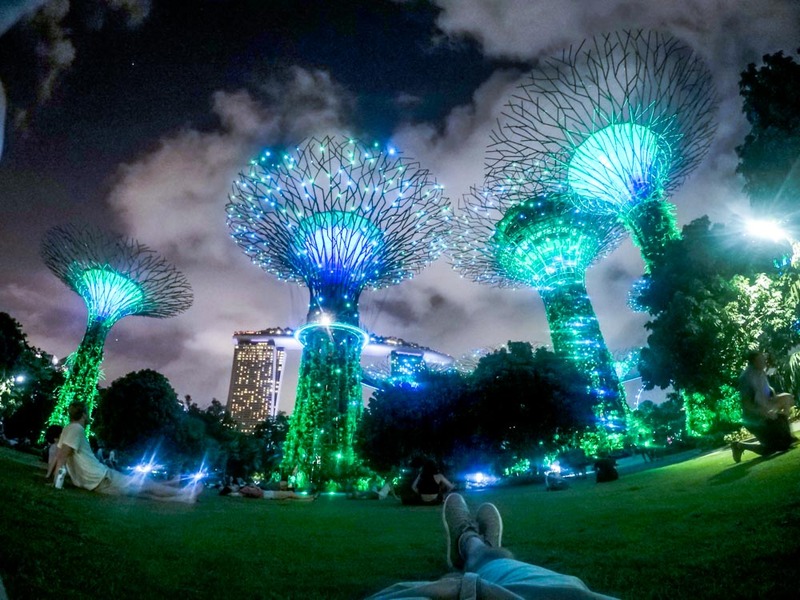 Supertree Grove comes alive with colour and music and we lay back on the grass beneath the giant trees to enjoy the show against the back drop of the spectacular Marina Bays Sands hotel. This was a fabulous experience which topped off our visit to the Gardens. We kept to the green theme on a morning stroll on the Southern Ridges; a 10km long tree top walkway which can be accessed at a few different points to the south of the city. There are parks that can be visited on the way, but the ridges mainly keep you high up in the tree-line and offer up consistently good jungle views. You must keep your eyes peeled for animals and we saw a monkey and a green snake on our walk, the latter of which I nearly stood on which frightened me more than the snake. The best view came towards the end as we walked along the undulating Henderson Waves which provided far reaching views across the city. The ridges end at Mount Faber where a gondola chair lift took us across to Sentosa, Singapore’s pleasure island and home to Universal Studios and the SEA Aquarium. 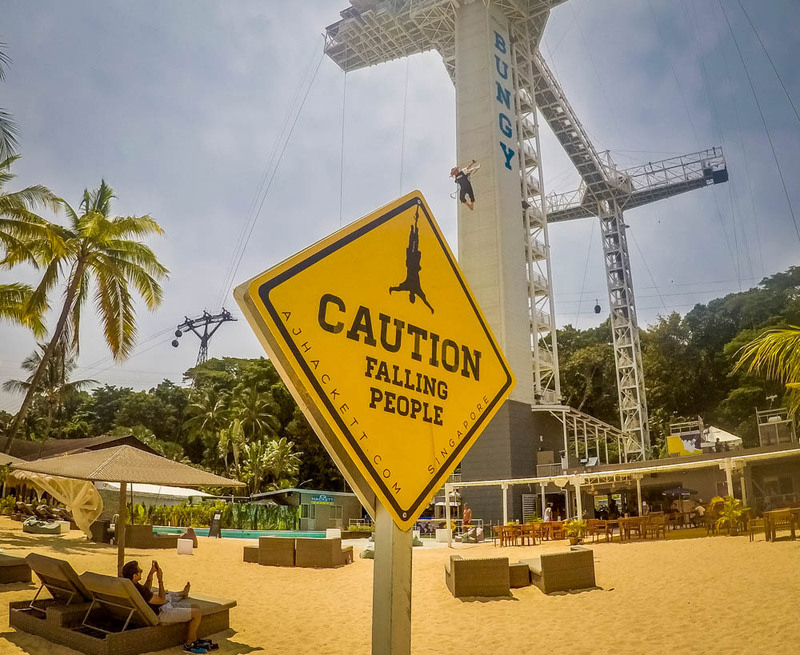 Aside from the theme parks, there are more extreme outdoor pursuits to be had on the beaches at the south end of the island where there are zip-wires and signs warning you of people falling from above as bungee jumpers plunge down towards the beach below. The stretching of the spinal column through a combination of gravity and elastic bands is yet to tempt me so instead we headed back onto the chair lifts and into town. The food scene in Singapore is diverse. 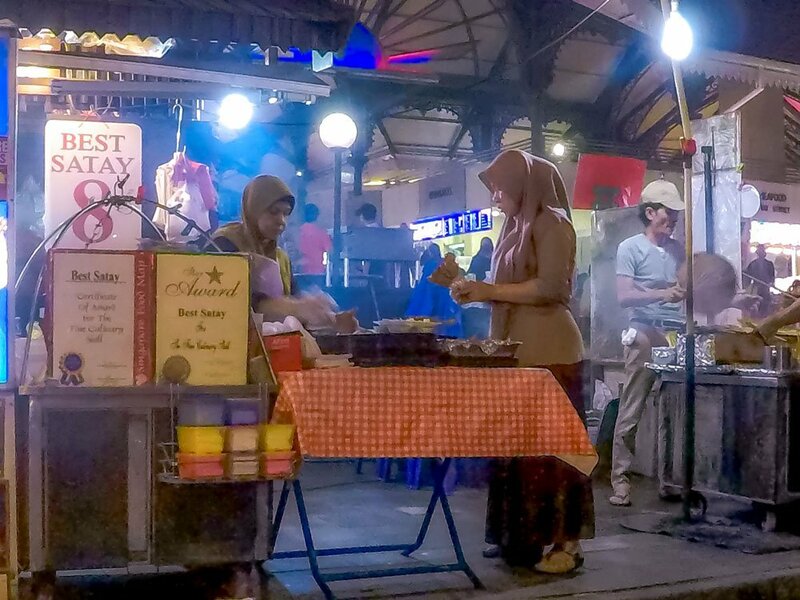 Street food is readily available, safe to eat, and the various markets offer a great deal of choice and cheap eats. 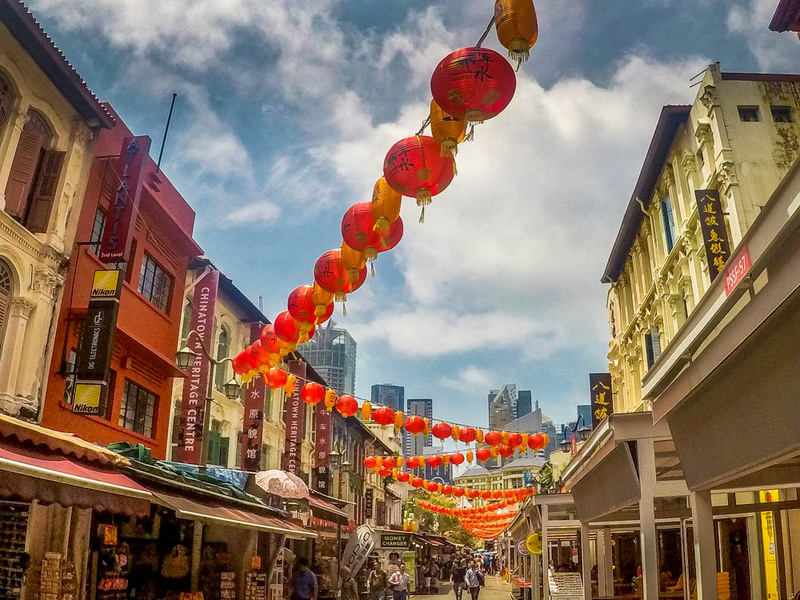 There are lots of hawker food markets dotted around Singapore and we ate at a few of them, but the best experience was the satay stalls near the Lau Pa Sat market. 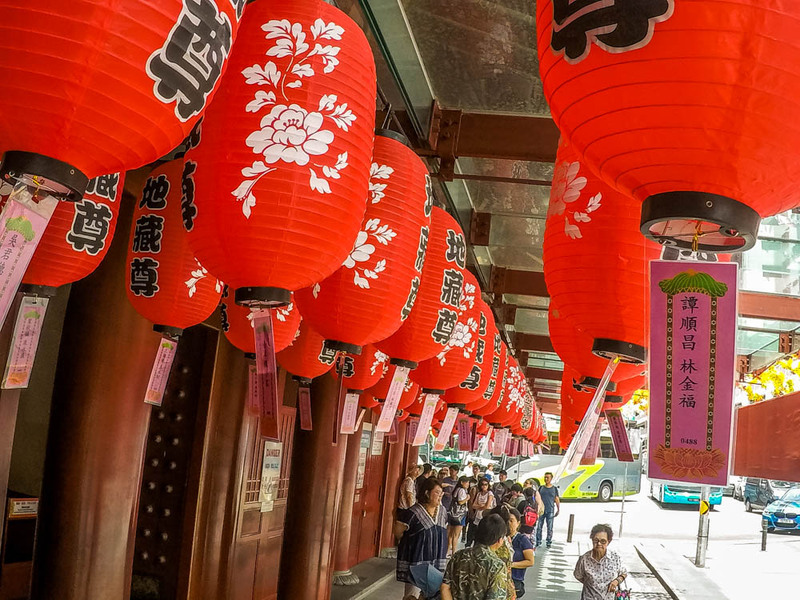 Each evening they close off Boon Tat Street, fill it with plastic chairs and tables, and set up numbered food stalls offering of beef, chicken, and prawn satay skewers. There was a great place with a raucous atmosphere; vendors tout for your business, waiters bring jugs or plastic cups of Tiger beer whilst smoke and the incredible smells of barbecued food drift across the street from the charcoal grills. A friend had told us to visit stall 8 which displays certificates proudly proclaiming it is ‘the best satay’. I couldn’t read the fine print through the smoke to clarify the legitimacy of these awards, but my taste buds were happy enough to confirm their boasts. The satay was delicious. We visited Violet Oon’s National Kitchen for an altogether different dining experience in their small but elegant Parisian-looking restaurant in the National Gallery. The gallery also has some funky bars on the roof which is a great spot for surveying the cityscape as the sunset gives way to lights produced by man-made monoliths as skyscrapers light up the city. The food at the National Kitchen was amazing with a special mention for their unctuous beef rendang which still makes me salivate each time I think about it. At the other end of the food scale was the simplicity of the Singaporean breakfast. There are numerous kopitiams, coffee shops, serving thick coffee, an assortment of teas, and some curious food selections. It seemed that everything we ordered came with a barely boiled egg which we managed to survive but it was the kaya toast that became my breakfast favourite. White toast, cut into soldiers and sandwiching a good dollop of butter and green sweet coconut jam. A great way to start your day. Getting about the city was made easy using the reliable underground system. Travel is cheap, and we purchased top up EZ-Link cards that allowed us to travel through stations without having to purchase tickets each time. Underground trains are spacious, and all the stations were well air-conditioned which was always a welcome respite from the humid streets outside. Little India was all low-rise colourful buildings, mouth-watering scents, and the hustle-bustle of street traders. 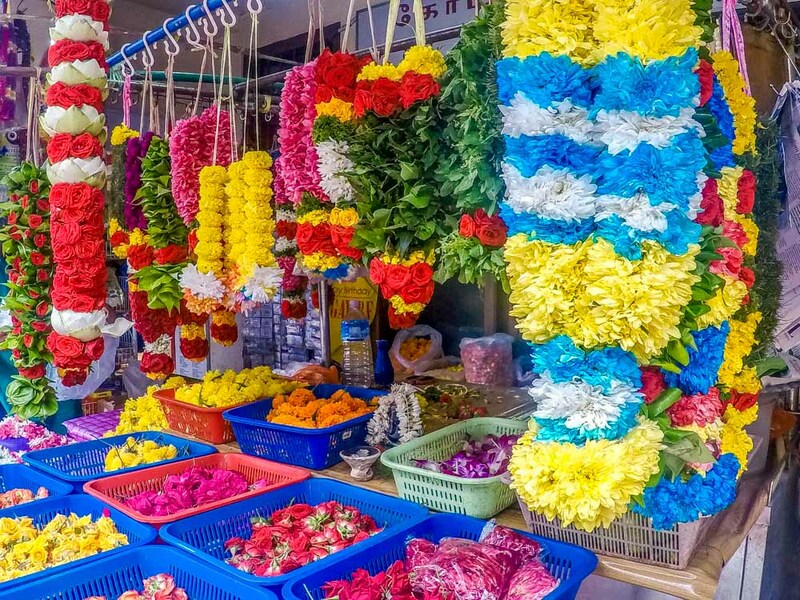 Flower garland sellers were everywhere – as were the bees that were drawn to the white jasmine flowers within them. Clothes shops displayed chic and colourful saris, and the smell of Indian spices and food was divine. 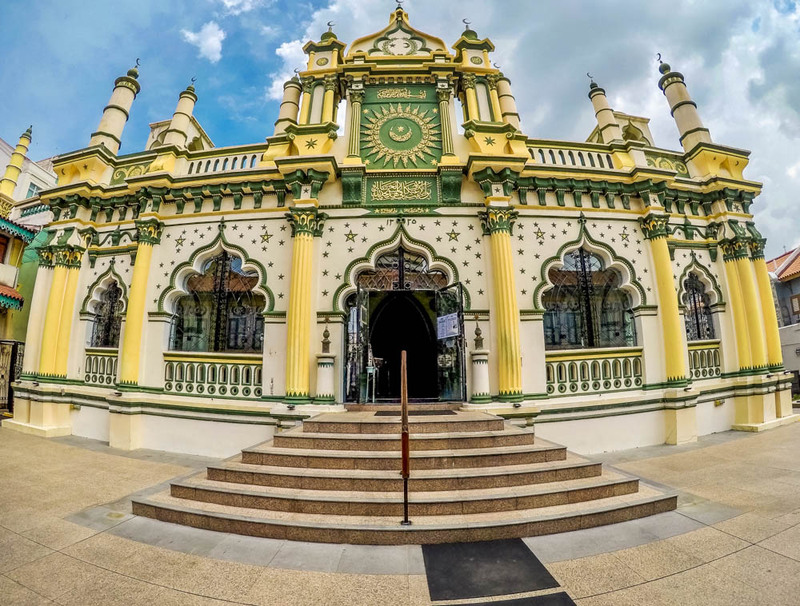 Temple hopping is part of the street tour here as we visited the colourful Sri Veeremakaliamman Temple as well as the impressive Abdul Gafoor Mosque. Over in Chinatown cultural influences were equally strong and stereotypical. In the squares large groups of men gathered to watch others play checkers, red lanterns hung from wires draped across buildings, and the thought of stir fried chilli crab started to take up a lot of my thinking time. The occasional whiff of the durian fruit which was readily on sale here jolted my good senses. Apparently, it is considered a luxury in parts of South East Asia but if it tastes anything like it smells then I can only conclude that my palate is not conditioned to luxury produce. 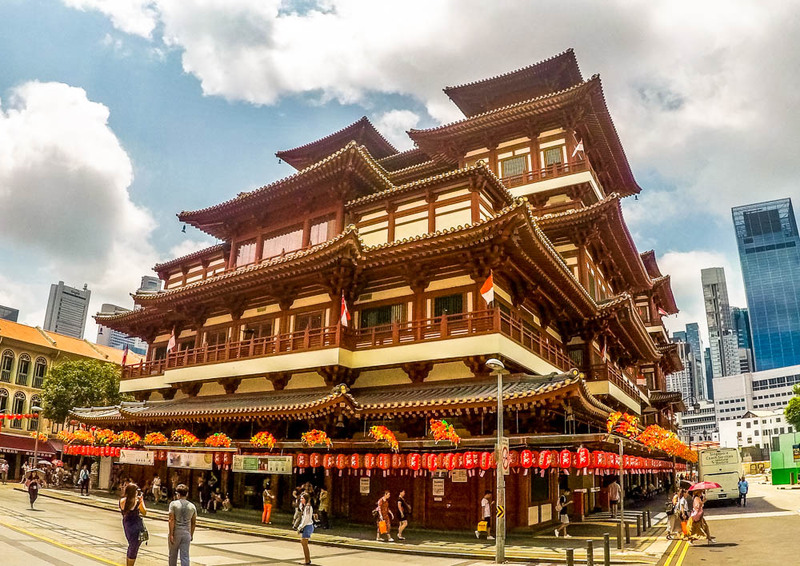 The Buddha Tooth Relic Temple is a fabulous building both inside and out and looks so incongruous when viewed against the back drop of the financial districts sky-scrapers. A haven of spirituality amongst the busyness of the city. 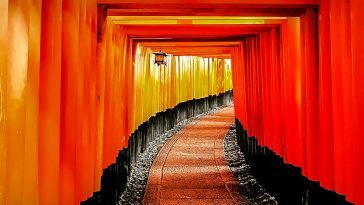 The inside was intricate and adorned with numerous statues of deities all lit by the lanterns that hung from the ceilings. The Sri Mariamman Hindu Temple on the edge of Chinatown was also worth a look. 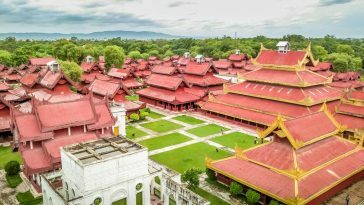 The temple is ornate with colourful murals on the ceilings, several interesting statues around the building, and when we visited it was very busy with both worshippers and tourists alike. Each day of our visit we were drawn to Marina Bay which is dominated by the amazing Marina Bay Sands Hotel. The hotel consists of three 50+ storey towers, on top of which a ship shaped structure spans the three towers and holds a 3-acre SkyPark. It’s an incredible looking building if not a bit outlandish. I would like to have been a fly on the wall in the planning meeting where they discussed building a ship-shaped viewing deck on top of three huge towers, but it is this innovation which sets the tone for the Singapore skyline. 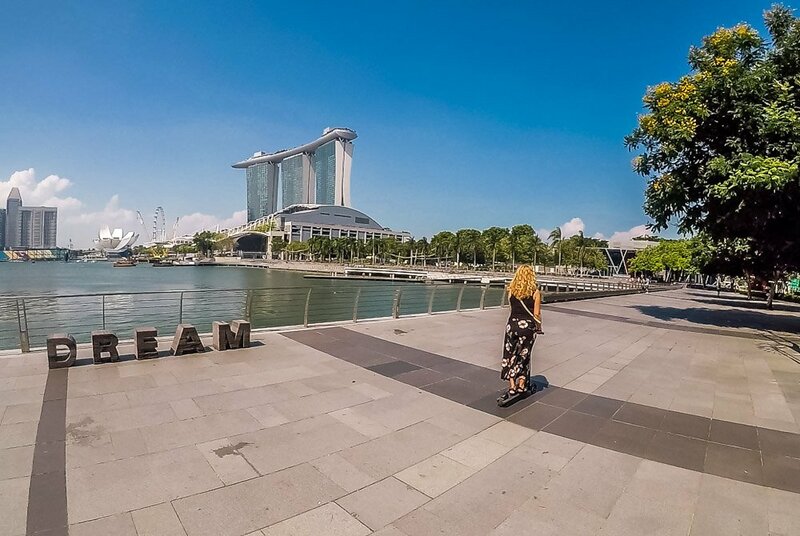 We hired scooters down by the quayside and spent an hour or so zooming around the wide pedestrianised pathways around Marina Bay which was great fun and a good way of keeping cool. The only downside was having to get back used to using your legs as medium of transport afterwards. Once you have scooted then foot power seems very overrated. 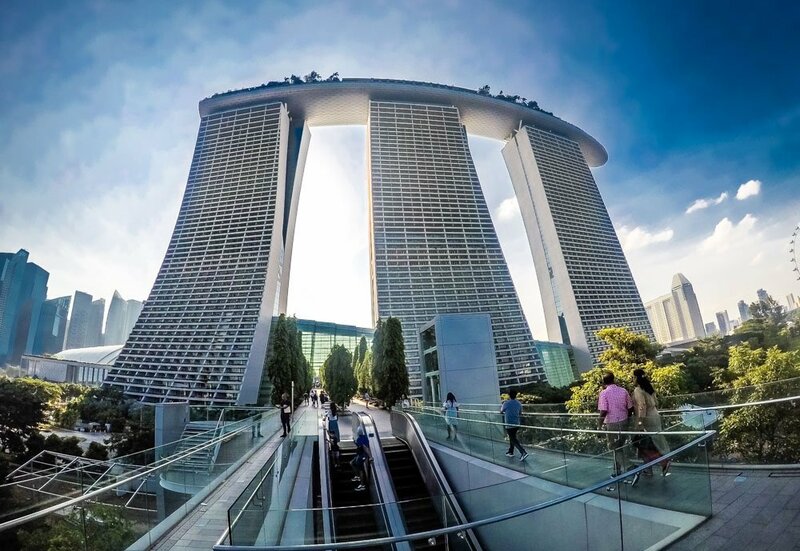 We enjoyed a daytime trip up to the viewing deck of the Marina Bay Sands hotel which offered stunning views over the city but was baking hot during the day time. There are restaurants and bars up there which would be recommended, especially for evening viewing, but I preferred to be able to see the building than be sat on it. We spent our final night at a bar by the marina where again there is another light and music show. Lasers are beamed from the top of the hotel whilst lights and water fountains shoot up from in front of the shopping centre at the bottom of the Marina Bay Sands hotel. I could do a whole other piece on the shopping malls of Singapore which are vast and numerous, but I don’t have deep enough pockets to research them and in any instance, they didn’t seem to sell any mountain climbing gear. 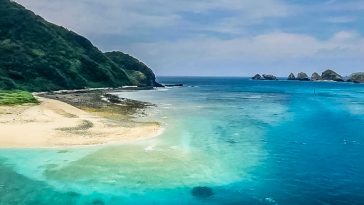 I feel like we only scratched the surface of Singapore and there is another article on what to see a little further afield here. It really is an amazing city. 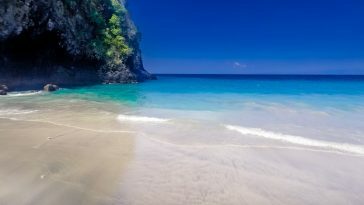 If you are passing through this part of the world then make sure that you pop in for a visit.